When reading the writings of former Kansas State Budget Director Duane Goossen, it’s useful to have a guide grounded in reality. 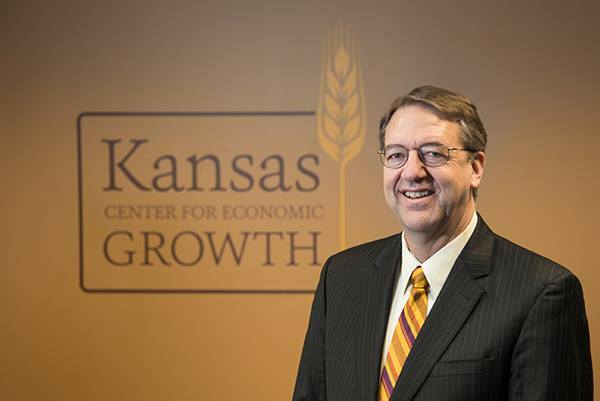 In a look back at the Kansas Legislature this year, former state budget director Duane Goossen has a few opinions. Here are a few, as appeared in the Wichita Eagle, and some counter arguments. No, Kansans are just starting to be kicked around even harder. That’s what higher taxes represent. 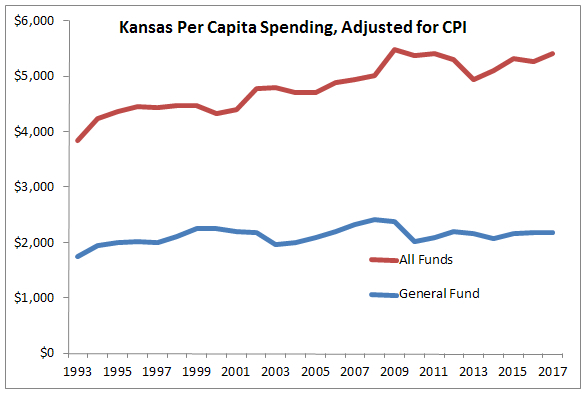 No, Kansas became the poster state for bad spending policy. 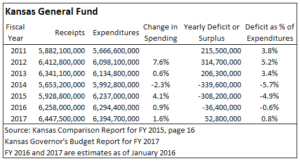 Our legislature and governor had several years to find ways to reform spending, but there was not the will to do so. One example: The budget for next year contains $47.2 million in spending because the legislature did not adopt a recommended plan to save money on purchasing health insurance for school employees. That number rises to $89.0 million the following year. “Trickle down” is not a term that economists use. It has no meaning in economics. It is not courageous to raise taxes on anyone, wealthy or not. 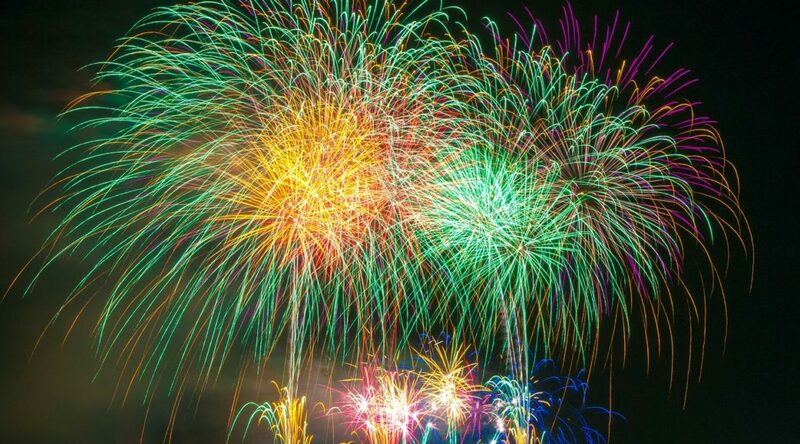 Courage would have been starting to reform spending five years ago. Goossen is correct. Politicians and bureaucrats prefer to work out of the spotlight, especially when raising taxes while showing no resolve to reform spending. The spending establishment does a very good job convincing people that spending on nearly everything, especially schools, is lower than the reality. 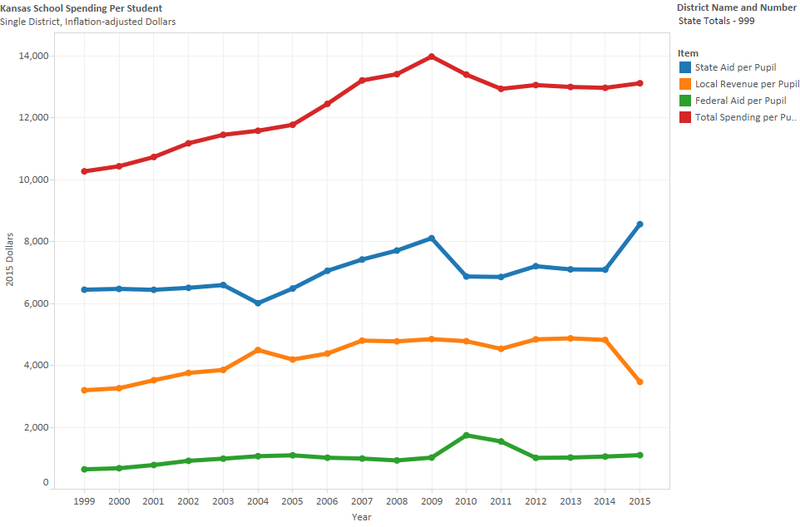 As a result, surveys of people across the county, and in Kansas, repeatedly show that the average person has little knowledge of the level of spending in schools and whether spending is rising or falling. 4 This reinforces the previous point. 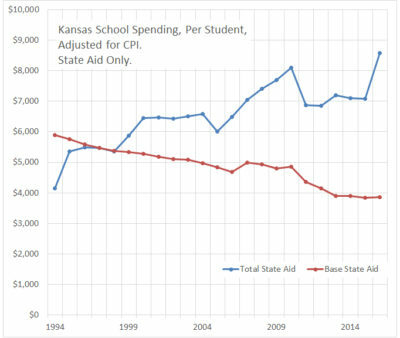 A video explaining the Kansas budget is accurate in many aspects, but portrays a false and harmful myth regarding school spending. 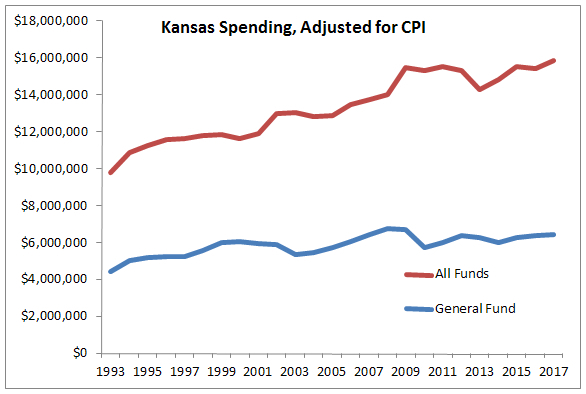 A popular video explaining the Kansas budget deserves scrutiny for some of the data presented. The video is available at the Facebook page of Loud Light. The video also rightly notes that Kansas is now, and it has in the past under other legislatures and governors, inadequately funding KPERS, the state employee pension plan. Interestingly, the video praises Kansas for its early adoption of “progressive economics.” I think the narrator meant “progressive taxation,” as the video shows Kansas adopting an income tax in 1933. How has that worked for Kansas? There are a variety of ways to look at the progress of Kansas compared to the nation, but here’s a startling fact: For the 73rd Congress (1933 to 1935) Kansas had seven members in the U.S. House of Representatives. (It had eight in the previous session.) Today Kansas has four members, and may be on the verge of losing one after the next census. 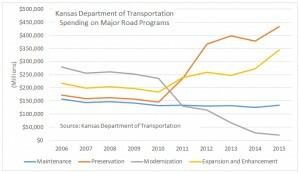 This is an indication of the growth of Kansas in comparison to the nation. 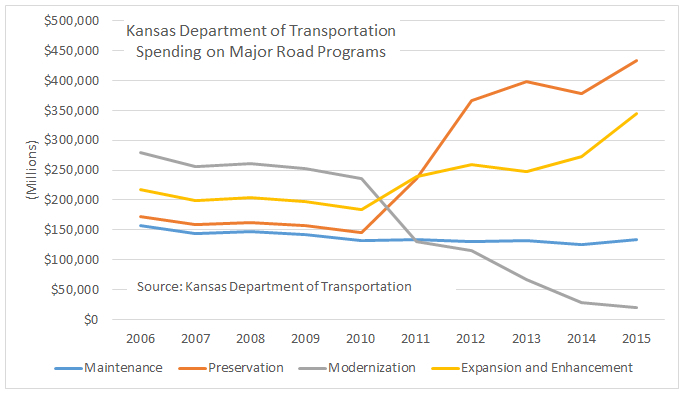 Kansas Department of Transportation Funding, partial. Click for larger. The greatest problem in this video is its explanation of state spending on K through 12 schools. 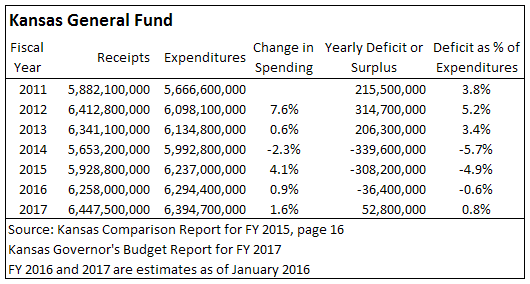 This is important, as the video correctly notes that this spending is half of the general fund budget. In introducing this section, the narrator notes “budget report gamesmanship that’s created a rhetorical paradox,” conceding it is “technically” true that education spending is at record levels. 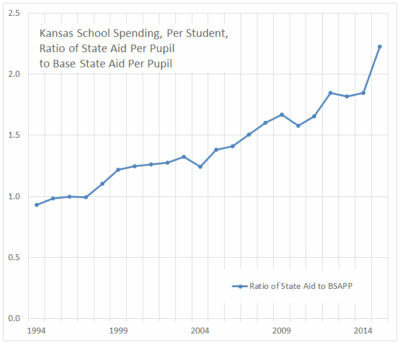 A more accurate title for the chart is “Base State Aid Per Pupil.” That’s the actual name for the component of school spending that the video displays. This is important because base state aid is only the starting point for determining spending. Actual state aid to schools is much higher. 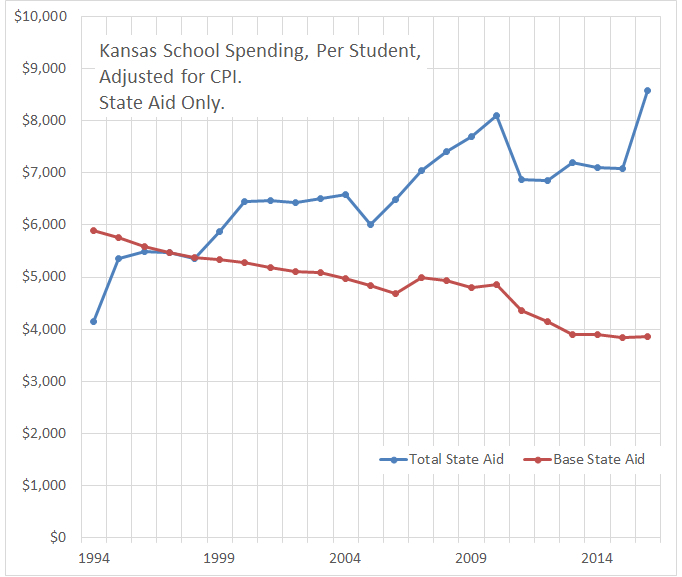 So in the nearby chart that I prepared using data adjusted for inflation in 2016, we see base state aid per pupil on a downward trend, just as the video shows. But I also plotted total state aid per pupil, which includes weightings. This number is on a mostly upward trend. All this determines state aid to schools only. There is also local aid and federal aid. 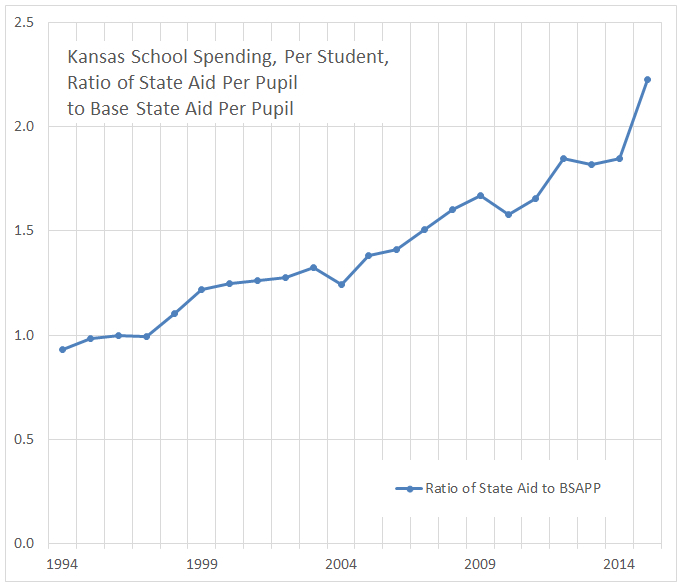 The questions Kansans should ask are these: Why doesn’t this video explain that “base state aid per pupil” is not the same as “state aid per pupil?” And why not explain that total state aid per pupil is much higher than base state aid, and has been rising over the long term? 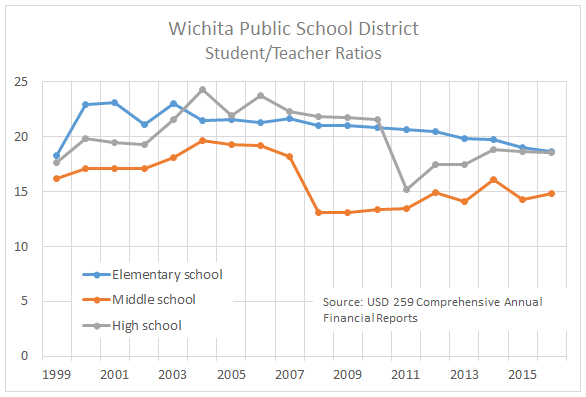 Despite years of purported budget cuts, the Wichita public school district has been able to improve or maintain student/teacher ratios. When discussing school funding, there is controversy over how spending should be measured. What funds are included? Is KPERS included? Should we adjust for enrollment and inflation? What about bond and interest funds and capital outlay? The largest expenditures of schools — some 80 percent nationwide — is personnel costs. In Kansas, and Wichita in particular, we’re told that budget cuts are causing school class sizes to increase. 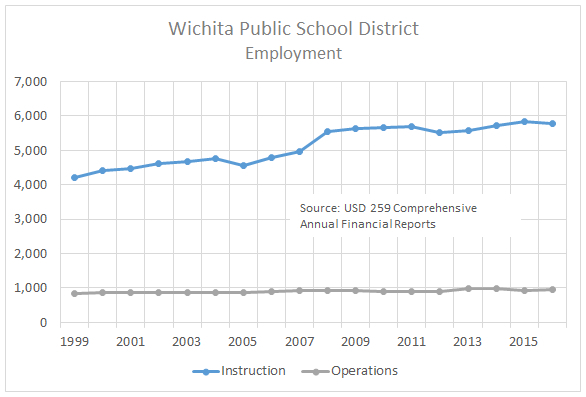 This means that Wichita schools have been able to increase employment of teachers at a faster rate than enrollment has risen. 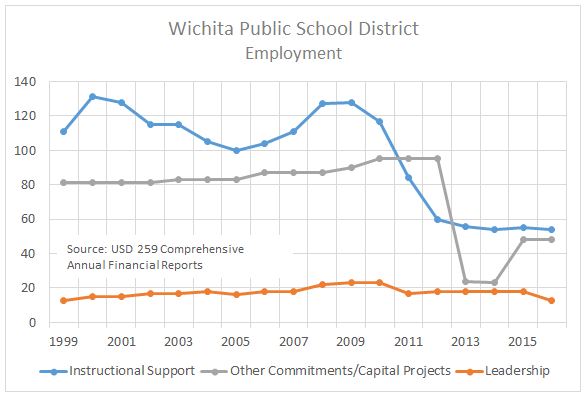 So however spending is categorized in funds, whether KPERS contributions are included or not, whether the funding comes from state or local sources, whether spending is adjusted for inflation, the Wichita school district has been able to improve or maintain its student/teacher ratios. Data is from USD 259 Comprehensive Annual Financial Report for 2016, Miscellaneous Statistics, page 118, and CAFR from other years. 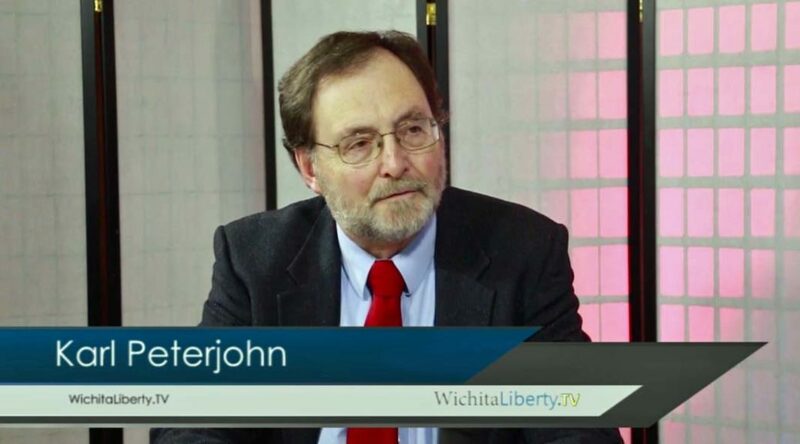 In this episode of WichitaLiberty.TV: Co-host Karl Peterjohn joins Bob Weeks to discuss the fight on blight and property rights, guns on campus, availability of testimony in the Kansas Legislature, and KPERS, our state’s retirement system. View below, or click here to view at YouTube. Episode 137, broadcast February 5, 2017. 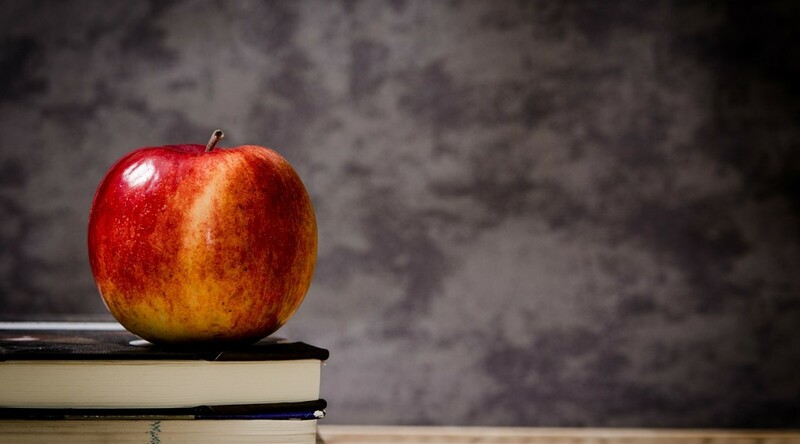 A board member of the largest school district in Kansas repeated an untruth that has unfortunate consequences for Kansas schoolchildren. She went on to explain that what happened in the “last couple of years” was, for example, KPERS funds being counted differently. The story about KPERS reporting being changed in an underhanded way is told so often by the public school spending establishment that it is difficult to criticize Mrs. Logan for being wrong. Board members and others are told this so often, from sources they believe as authoritative, that they believe it. They want to believe it. 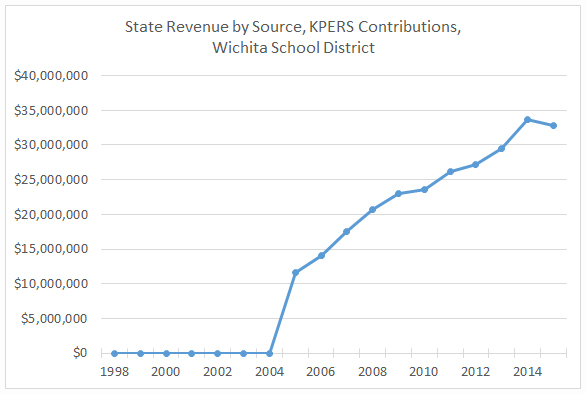 Wichita Public Schools, State Revenue by Source, KPERS Contributions. Click for larger. Even though Dennis is the state’s top education finance official, we don’t have to rely solely on him to illustrate the error of believing the KPERS spending reporting has undergone recent changes. 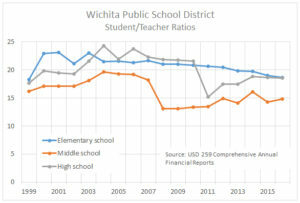 Information from the Wichita public school district3 shows the same. 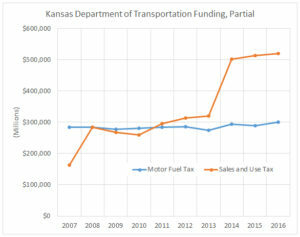 Here I’ve plotted the funding sent by the state of Kansas to USD 259 for KPERS contributions. 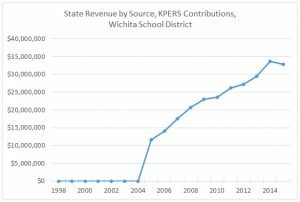 As Dennis indicated, in 2005 the Wichita school district started receiving money from the state for KPERS. Prior to that year it received none. We might note that when this change in KPERS reporting started, Kathleen Sebelius was governor. If the change in KPERS reporting is, in fact, deceitful, we ought to ask why it happened under her watch. Does it really matter that there is this confusion about KPERS reporting? Yes. It matters a lot, and for two reasons. 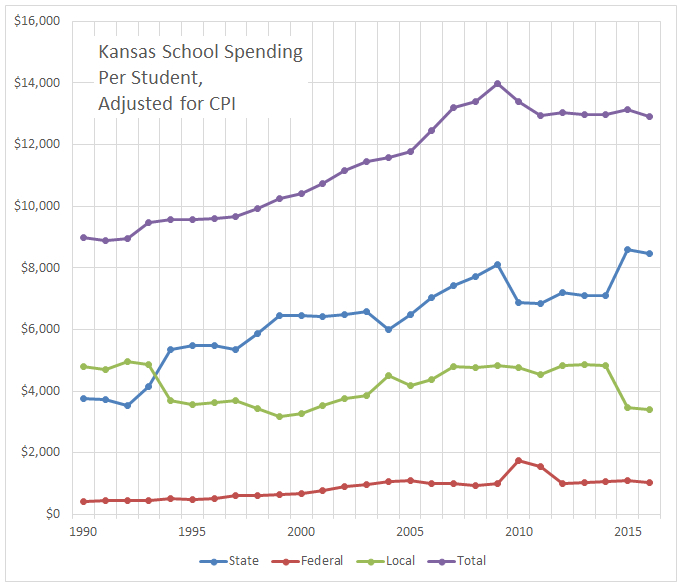 First, what the Kansas public school spending establishment says is incorrect. We should value the truth above all. Second: If we believe that Kansas public schools are underfunded, there is a ready-made excuse for anything and everything. 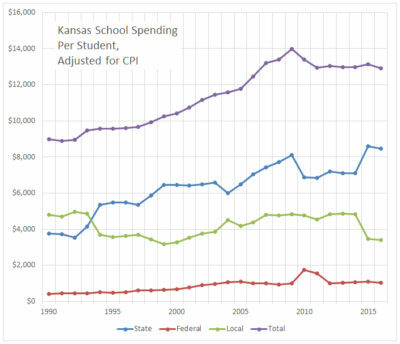 If anyone points out that Kansas schools have problems, the excuse is that there’s isn’t enough money. This lets Kansas public school officials off the hook, and needed reforms are squashed. Even reforms that will save money. 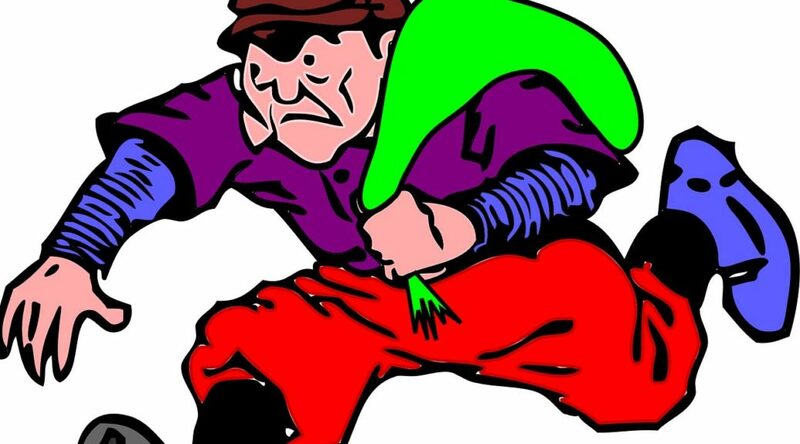 No one is stealing from KPERS, the Kansas Public Employees Retirement System. But there are related problems. 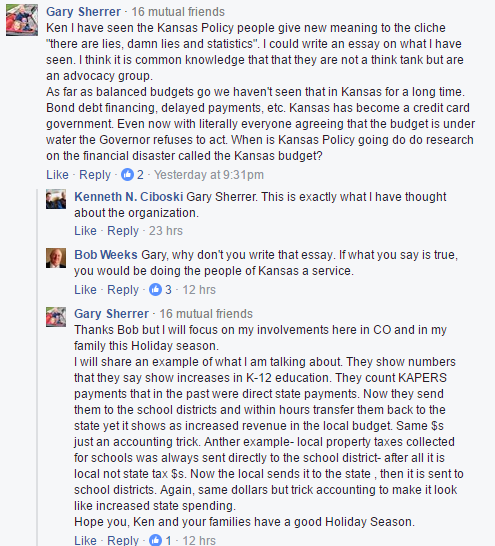 These comments — and many similar posted all over Facebook — accuse Kansas state government, specifically the current governor, of stealing from KPERS. But that is not happening, according to Alan Conroy, KPERS Executive Director. 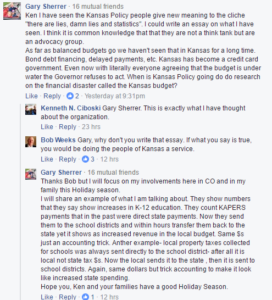 By email, he answered this question posed by Kansas Policy Institute: “Can you please confirm that the Legislature or the Governor cannot and have not borrowed money from funds deposited with KPERS? 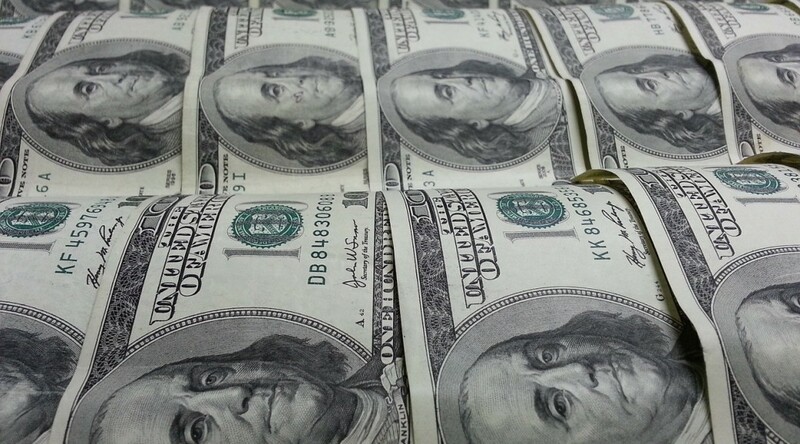 That ought to settle the question of whether money is being “robbed” or “stolen” from KPERS. But you’ll notice that the title of this article contains an asterisk. That’s because KPERS does have many problems. The most important is its underfunded status, which is a chronic problem. This is because the state has not made the actuarially required contributions. This is “stealing,” in a roundabout way. Who is suffering the loss? Not future KPERS retirees, as it is almost certain they will receive their promised benefits. 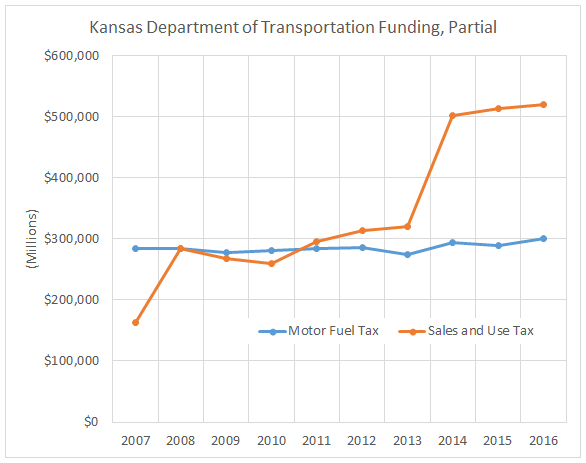 Instead, it is future Kansas taxpayers who will have to make extra contributions to KPERS to make up for the current and past legislatures not making sufficient contributions. This is one of the reasons why government should not offer defined-benefit pension plans. Because of the long time horizons involved, it’s easy to delay and postpone a solution to the future. Or, legislators are prone to make risky investment decisions as Kansas did in 2015. The state’s action simply replaced KPERS debt with debt the general fund is responsible for. This, of course, is the state selling $1 billion in bonds and transferring the proceeds to KPERS. It makes the KPERS unfunded ratio look better, as the governor and Republican legislative leaders continually boast. But it’s a risky maneuver, and it has led to undesirable behavior that was entirely predictable. The plan was that the state would borrow $1 billion, and invest it. If the state earned more in investment returns than in interest cost on the bonds, the state wins. 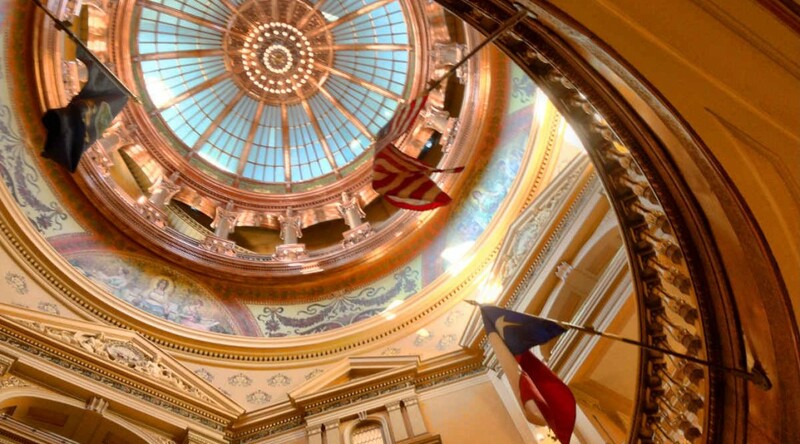 Barry Poulson, Ph.D., Emeritus Professor at the University of Colorado — Boulder has written on the danger of borrowing to shore up state pension funds, as Kansas has done. He explained there is the “lack of nexus between the investment of the bond proceeds and payments for unfunded liabilities in the plan.” This means that the borrowed funds may be used for current spending rather than for correcting the KPERS unfunded liability.1 What Poulson warned of happened in Kansas. There’s another way that KPERS is stealing from future taxpayers. When performing projections, a key variable is the discount rate, which is to say, the rate that KPERS expects to achieve on its investments, over the long term. Small changes in the discount rate have large impacts. The nearby illustration from the KPERS annual report for 2015 shows that using a discount rate of 8.00 percent, the KPERS unfunded liability is slightly less than $9 billion. 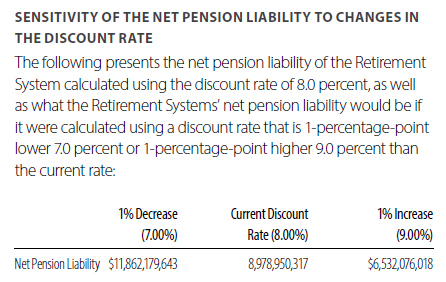 Change the discount rate to 7.00 percent, and the unfunded liability rises to almost $12 billion. Some authorities believe that state pension funds should use a realistic discount rate, maybe four percent or so. That would cause the unfunded liability to explode. To its credit, KPERS recently adopted a discount rate of 7.75 percent, but that adjustment is not nearly enough. Who will have to pay to make up the deficiencies caused by using an unrealistic discount rate? Future Kansas taxpayers, not KPERS retirees. This sounds like stealing from KPERS. Despite this happening at the urging of Carlin, he now portrays himself as a leader, a senior statesman to whom we should listen. A new report details the way state pension funds harm workers and taxpayers through cronyism. Updated to accurately reflect the time period of the targeted investments. American Legislative Exchange Council (ALEC) has released a report detailing the various ways state employee pension funds are harmed by cronyism. The report may be read at Keeping the Promise: Getting Politics Out of Pensions. It all seemed so easy to many economic development planners. In an era of hard-to-get money for business start-ups and small business expansion, why not tap into the state’s healthy $3 billion-plus retirement funds as a source for seed capital? After all, it is there. 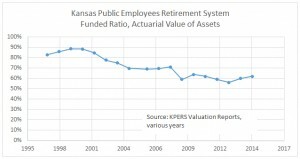 And much of the profits earned by the Kansas Public Employees Retirement Systems have come from out-of-state investments. For many Kansas legislators, the lure of using KPERS money for economic development was tempting. So KPERS, under considerable legislative pressure, agreed to target nearly 10 percent of its fund for business expansions in Kansas. But three years after that decision, it is clear that KPERS money is not a panacea for economic development. KPERS Chairman Mike Russell was on the Emblem board of directors and had personally guaranteed $200,000 in loans to the company. Shortly before KPERS invested $5.3 million in Emblem in 1985, Russell resigned from his Emblem seat. The KPERS loan, however, was used to relieve Russell of his obligation to cover the earlier loans totaling $200,000. 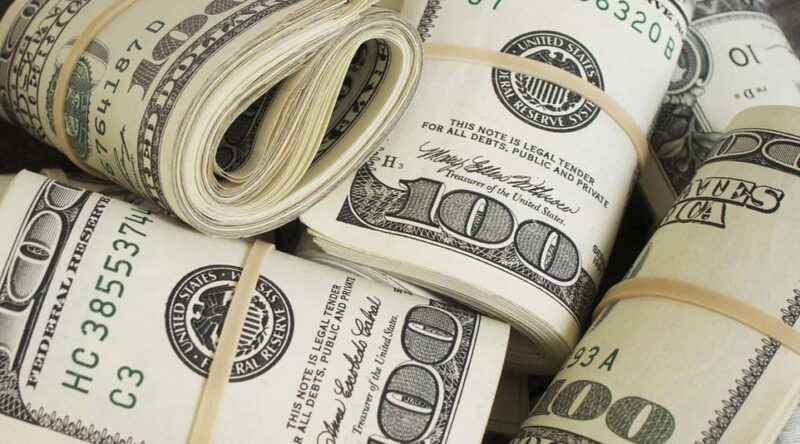 KPERS continued to invest in the company until 1988, At one point, KPERS even paid $273,305 to itself to pay back the money it had lent Emblem when the company was sold. KPERS got back only $1.76 million of the $7.8 million it had lent the company. Russell, however, was able to make a profit on his 3,000 shares in Emblem when the company bought him out for $48,330 — using KPERS money. KPERS is suing, among others, Russell, the lawyers who approved the transactions, and Kenneth Koger, who managed the Emblem investment and about 70 percent of the investments in question. Russell was not available for comment. In September 1991 the loss to KPERS was given as $92 million. 4 Lawsuits continued until 2003. The governor of Kansas during the time of the targeted KPERS investments was John Carlin (1979 to 1987). There is a claim that a recent change in the handling of KPERS payments falsely inflates school spending. The Kansas State Department of Education says otherwise. View below, or click here to view at YouTube. Click here for more about this topic. There is a claim that a recent change in the handling of KPERS payments falsely inflates school spending. The Kansas State Department of Education says otherwise. A member of the Kansas State Board of Education has written an article that has received widespread attention. But the member, Jim Porter, is wrong on several accounts. Here, Dale Dennis contradicts Porter. Dennis is Deputy Commissioner at Kansas State Department of Education and head of Fiscal and Administrative Services. Even though Dennis is the state’s top education finance official, we don’t have to rely solely on him to illustrate Porter’s error. 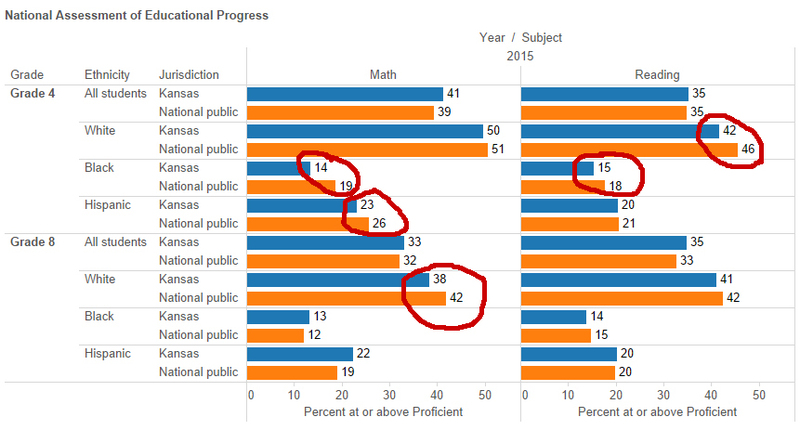 Information from the Wichita public school district3 shows the same. 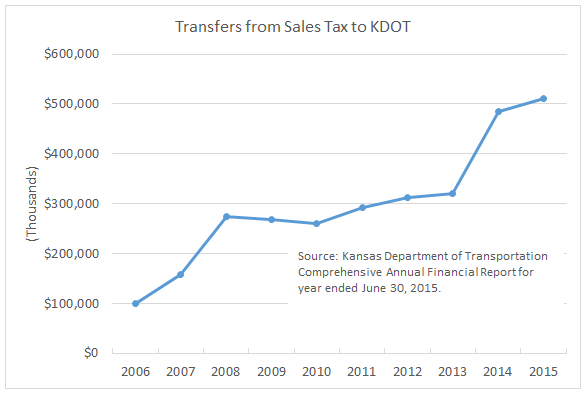 Here I’ve plotted the funding sent by the state of Kansas to USD 259 for KPERS contributions. 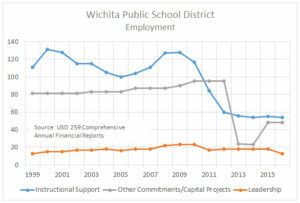 As Dennis indicated, in 2005 the Wichita school district started receiving money from the state for KPERS. Prior to that year it received none. Trabert’s article explains other ways in which Porter is wrong. I have to wonder what is the underlying reason for Porter writing things like this. Is he being told incorrect information or is he simply lying? The State of Kansas was ordered to take remedial action to correct material omissions in the state’s financial statements prepared under the leadership of Duane Goossen. During the administration of Governor Mark Parkinson, the State of Kansas issued eight series of bonds raising $273 million. Regarding these, the U.S. Securities and Exchange Commission has determined that the state failed to adequately inform investors of significant, material, negative information. 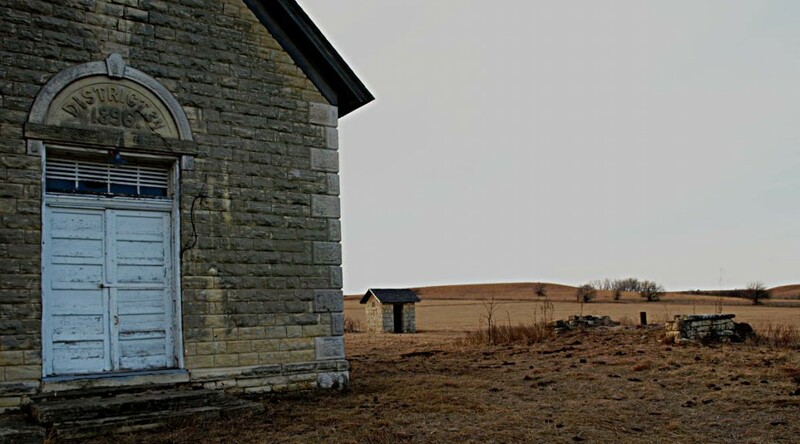 In a nutshell, according to the SEC: The Kansas Public Employee Retirement System (KPERS) was in terrible financial condition compared to other states, and Kansas did not adequately disclose that to potential bond buyers. That violated the Securities Act. In 2011 Kansas implemented reforms to the SEC’s satisfaction. Of interest to current Kansas public affairs is that the head of the Kansas Department of Administration at the time the SEC found these violations was Duane Goossen. In its findings, the SEC specifically criticized the Department of Administration for its preparation of financial statements included in bond offerings — statements that were missing materially important, and negative, information. It’s ironic that Goossen mentioned “investments,” as we now know that under his leadership Kansas violated Sections 17(a)(2) and 17(a)(3) of the Securities Act, materially misleading bond investors while other states made full disclosure. While critics of current Kansas government — including Goossen 3 — use KPERS underfunding as evidence of failure, this incident shows that KPERS has had funding problems for a long time, under leadership of both parties, and of both conservatives and moderates. Prior to a new issue of bonds in November 2011, the SEC found that the State of Kansas instituted satisfactory policies and procedures regarding disclosure of material information. 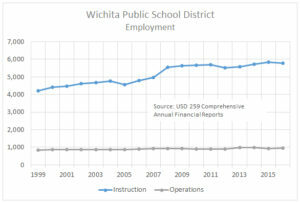 A Kansas school board president complains about funding, but the district has been able to grow employment faster than enrollment. All this is true to some extent. But there is a way to clear some of the fog, and that is to look at the number of employees in a school district compared to the number of students. So looking at the number of employees tells us a lot — almost everything, in fact — about how the school district is faring. 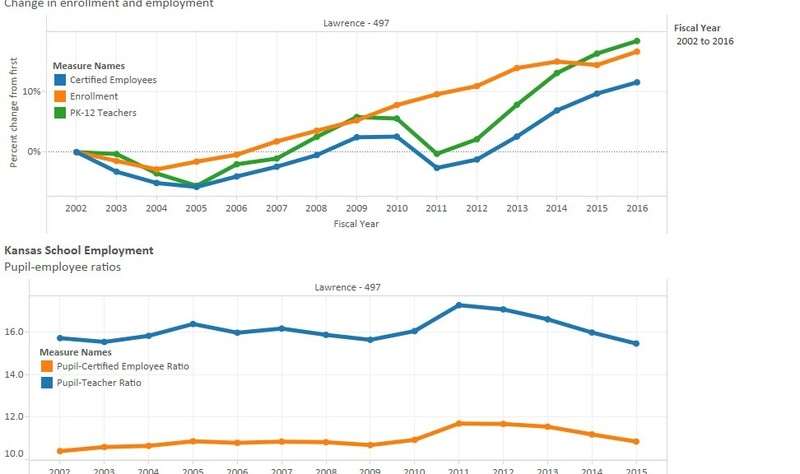 When we look, we find that starting in 2011 the number of employees in the Lawrence school district has risen faster than the number of students. (The count is divided into certified employees and K-12 teachers, and does not include special education teachers.) Correspondingly, the ratios of these employees has fallen over the same period. The pupil-teacher ratio has fallen from 17.28 to 15.47, and the certified employee-pupil ratio has fallen from 11.70 to 10.85. So however spending is compartmentalized, whether KPERS contributions are included or not, whether the funding comes from state or local sources, whether spending is adjusted for inflation, the Lawrence school district has been able to improve its employee-pupil ratios substantially. 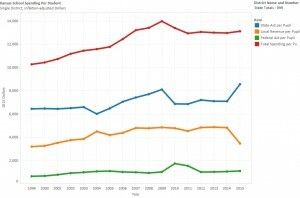 Data is from Kansas State Department of Education. Visualization created using Tableau Public. 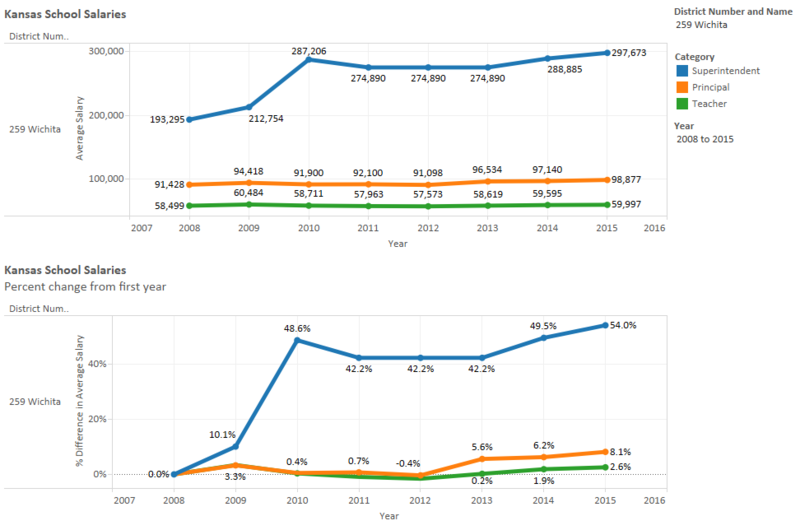 You may use the visualization to view figures from all Kansas school districts here. 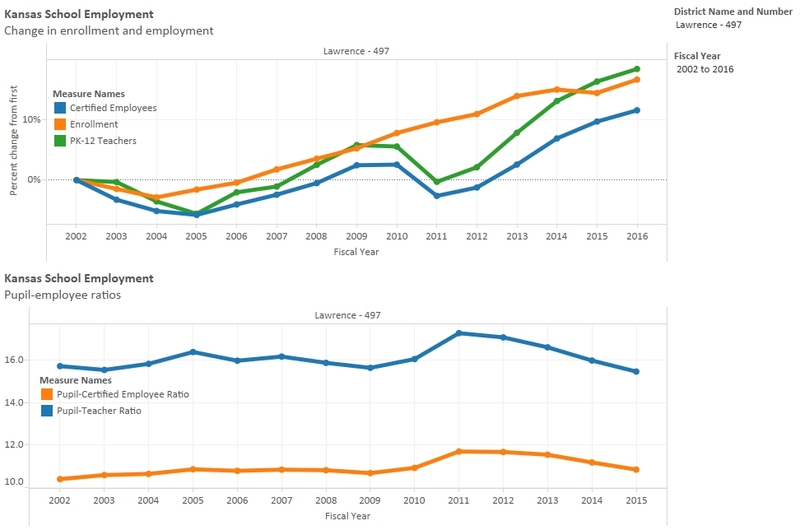 Lawrence school district employment and enrollment. Click for larger. The economic details of a semi-secret sale of bonds by the State of Kansas are worse than what’s been reported. Right-wing Republican lawmakers have operated under the radar to suspend all statutory limits on highway debt, and that unprecedented authority was recently used to issue record-breaking levels of long-term debt to pay for their reckless income tax cuts this year and next. In 2010 Kansas had a Democrat for a governor, which should caution us to not make this issue too political. 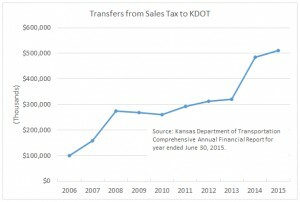 As far as borrowing from the “Bank of KDOT,” it’s been done before, as explained in 2015 by KDOT. 1 And, payments on these loans have been deferred or not made. Instead of politicizing the issue, let’s concentrate on the facts and merits. And when looking at the Series 2015B bonds, there is plenty to criticize. KDOT outstanding bonds, showing interest-only issues. Click for larger version. Does not include Series 2015B bonds. First, the state will not pay any principal on these bonds until 2026. Until then the state will pay only the interest on the $400 million, which is $20 million per year. Then, starting in 2026, the state will make 11 annual payments of various amounts towards the principal. 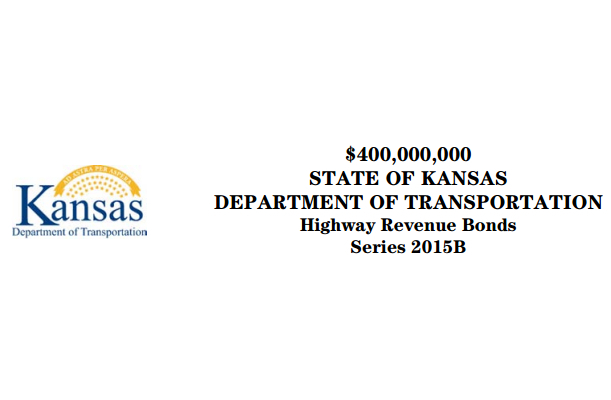 In all, KDOT’s schedule shows the state will pay $282,494,750 in interest on a loan of $400 million. There’s even more to criticize about the 2015B bonds. The actual proceeds the state will receive from the bonds (after costs of issuance and the underwriters’ discount) is $488,242,912. How, you may be asking, can the state issue $400 million in bonds but receive $488 million when it sells them? The answer is an “original issue premium” of about $89 million. That sounds like a good deal for the state, but in exchange for the premiums, the state pays much higher interest. There are several different ways of looking at this, but the upshot is that the state is receiving additional money now in exchange for paying a higher interest rate for many years. About $89 million in extra interest, which increases the actual cost of these bonds beyond what we thought. The allure of borrowing large sums and spending now is not limited to transportation bonds. The state is currently using the recent $1 billion in proceeds from KPERS bonds as a rationale to skip KPERS contributions this year, and also suspend a rule that most proceeds from the same of surplus property goes to KPERS. See This is why we must eliminate defined-benefit public pensions. Actions considered by the Kansas Legislature demonstrate — again — that governments are not capable of managing defined-benefit pension plans. 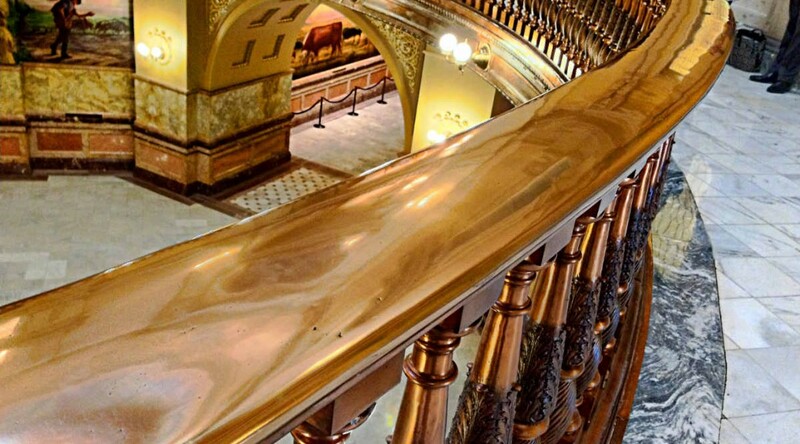 The Kansas Legislature is considering a bill that will allow Governor Sam Brownback to defer making payments to KPERS, the state’s defined-benefit pension system for public employees. The deferred payments would be made up in future years, although there is really no mechanism to enforce this. Also, the bill considers eliminating the requirement that when the state sells surplus property, that 80 percent must be used to reduce the unfunded actuarial pension liability of KPERS. There is also a moratorium on employer contribution to KPERS Death and Disability fund, which is much smaller than the retirement fund. That unfunded liability is a big problem. It refers to the difference between what KPERS expects to pay compared to the revenue it expects to receive. 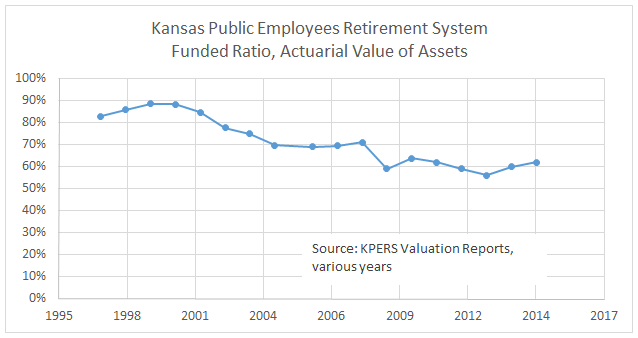 In recent years the Kansas pension fund has been among the worst in the country, based on the funded ratio. The nearby charts shows the trend of this funded ratio through 2014, the latest date for KPERS valuation reports. Last year the state issued $1 billion in bonds to address a portion of the unfunded liability. While this helps KPERS, it simply means that the state owes another billion dollars on a different balance sheet. But it’s the same taxpayers that will eventually pay. Barry Poulson, Ph.D., Emeritus Professor at the University of Colorado — Boulder has written on the danger of borrowing to shore up state pension funds. As explained below, there is the “lack of nexus between the investment of the bond proceeds and payments for unfunded liabilities in the plan.” This means that the borrowed funds may be used for current spending rather than for correcting the KPERS unfunded liability. This is what is happening in Kansas. The borrowing of a billion dollars has let legislators and the governor feel — incorrectly — that there is breathing room, and that the state can slack off making the contributions it should be making this year. This is highly irresponsible and reckless. 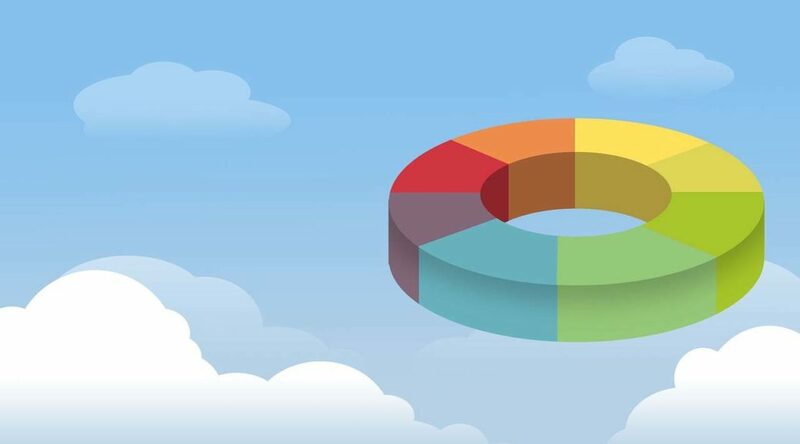 A major flaw in the proposed issuance of pension obligation bonds is the lack of nexus between the investment of the bond proceeds and payments for unfunded liabilities in the plan. The experience in other states is that sometimes bond proceeds are earmarked for other state expenditures. The most egregious example of this problem is the state of Illinois which issued $10 billion in pension obligation bonds and then used the proceeds to meet current expenditures rather than to pay off unfunded liabilities in the pension plan. Even if the state of Kansas would not commit this form of fraud on the taxpayers the fungible nature of state funding makes it impossible to guarantee the nexus between bond proceeds and the payment for unfunded liabilities in the pension plan. If legislators see that additional funds are available to pay off unfunded liabilities in the pension plan they may choose to allocate less general fund money to meet these pension obligations. 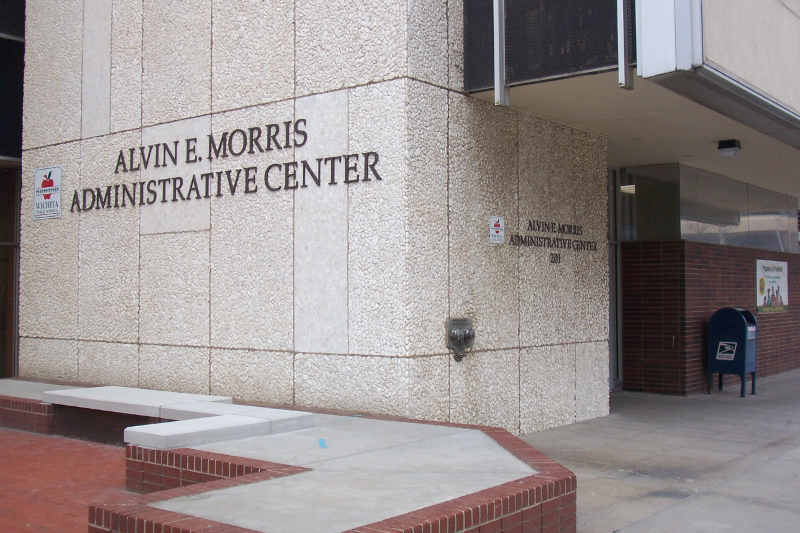 The state has not allocated the annual required contribution (ARC) to KPERS for several decades and is not projected to do so for the foreseeable future. Legislators continue to promise pension benefits without allocating the funds required to meet these obligations. We should expect this moral hazard to be even greater with the issuance of pension obligation bonds. 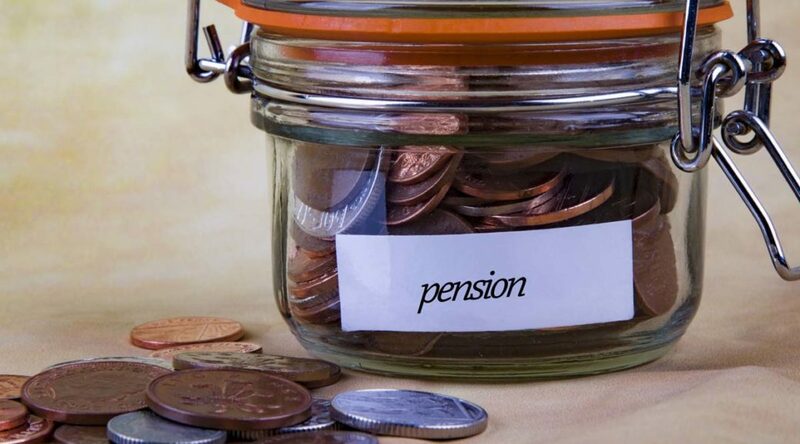 Even if the proceeds of pension obligation bonds could be set aside in a lock box and earmarked to pay off unfunded liabilities in the pension plan the state must still address the accumulation of unfunded liabilities in the defined benefit plan. Without fundamental structural change, including shifting public employees to some form of defined contribution pension plan, these unfunded liabilities will continue to accumulate. Legislators should not be diverted from this difficult task by non-reforms, such as the issuance of pension obligation bonds.